Accademia Europea di Firenze (AEF), Scuola Internazionale delle Arti e della Cultura Italiana, is Florence’s International School of Liberal, Performing Arts and Italian Culture. Located in the heart of the city, it hosts a community of students, professionals, faculty and staff, promoting a unique inspiring environment. The students, coming to us from the most prestigious American Universities, share classes and activities with students from various nationalities, in a unique intercultural exchange, of academic excellence, cultural and social immersion and experiential learning. The school welcomes students from all over the world for SHORT (3, 4, 6, 8 weeks) and MID (15 weeks) PROGRAMS in all the seasons of the year: Spring, Summer, Fall and Winter. AEF Academic office creates and develops DUAL PROGRAMS with individual institutions according to their academic standards. AEF offers programs built according to the guidelines of the Bologna Process, it represents the Elon University of North Carolina in Europe, and is a Formative Training Agency recognized by the Regione Toscana: each course meets this triple quality status and is valued in ECTS (European Credit Transfer System) through an equivalence valued in US academic credits. The ECTS credits constitute the new European academic standard, established in 1999 with the Bologna Process in order to allow the mobility of students within the European borders through the Erasmus project. Today, the ECTS system allows for the best European formative institutes to dialogue with the whole world, defining course characteristics, contact hours, hours of study, clarity of information, guidelines for the evaluation of results and above all, guaranteeing the maximum transparency and quality of every aspect of the formative training offer. The transfer of credits is regulated by the agreements between institutions. Since 2008, AEF has been partners with Elon University, North Carolina, USA and is currently one of the 4 Elon Centers Abroad. In accordance with the guidelines on the Forum on Education Abroad, Elon University is also the School of Record for AEF: credits obtained through AEF courses of Fine Arts, Performing Arts and Italian Culture can be recognized on official Elon University transcripts. Founded in 1889, Elon University is a leading institution in university education, with a focus on global engagement and experiential learning, as well as a close relationship between students and the teaching staff. In the U.S. ranking News & World Report, Elon has ranked first among the Southern universities and has obtained the qualification of excellence for 8 academic programs, the best result at a national level. The 6,739 students attend Elon College, the College of Arts and Sciences; the Martha and Spencer Love School of Business and the departments of communication, education sciences, physiotherapy and law. Elon sends the highest number of students to study abroad than any other university in the nation; 74% of Elon graduates have had at least one international experience, often in combination with internships, research programs, and volunteering. In addition, Elon also offers opportunities in the United States and is among the universities producing the largest number of Fulbright Student Scholars, Peace Corps volunteers and Teach for America educators. 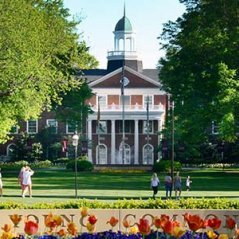 Elon University is accredited by the Southern Association of Colleges and the Schools Commission on Colleges. In addition, each department possesses the best accreditations at the national level and the University hosts a section of Phi Beta Kappa, the highest standard of excellence in liberal arts and sciences. Florence, birthplace of the Renaissance. This unique city has always inspired the thoughts and creations of artists and travelers: Galileo, Leonardo, Machiavelli, Brunelleschi, Dante, Donatello are just some of the geniuses that have walked the streets that our students stroll through today, surrounded by the widespread beauty that becomes daily nourishment for their learning path. It is in this way that every single formative opportunity becomes part of a global cultural experience, from the lessons in Art History to those of cooking. Everything connects and acquires meaning. 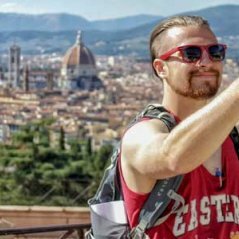 Florence is therefore the place where experiential learning becomes real and where students are truly immersed in the cultural and social context. We are proud and very fortunate to have the whole city as a single, great classroom available to us and to our students. An open-air museum, a three-dimensional encyclopedia of art, a miracle of beauty and harmony; in reality, Florence is much more: it is a living and breathing place, in which the word culture acquires a wider meaning, merging with the life style and with the very idea of humanism. For all these reasons, which are deeply rooted in our identity as Italians and educators, we have developed a method that combines classroom lessons and in-situ lessons, workshops, cultural and voluntary activities, as well as an intense program of performances and exhibitions in the most prestigious sights in the city. So that the Study Abroad experience may be a real moment of personal and intellectual growth for the young travelers of the contemporary Grand Tour. Dimensions are important: Florence is a medium-sized city, perfect for walking. The entire city center can easily be walked on foot and the location of our school is strategic: Palazzo Niccolini, home of AEF, is located in Via Cavour, 37, in the heart of the historic center, between Piazza del Duomo and Piazza San Marco. The Palace was built in the 16th century, when Via Cavour was still called Via Larga and had been chosen by the Medici family as an axis of economic and financial development of the city. In the 19th century, the palace became the home of Giovan Battista Niccolini, an important Florentine tragedian, to whom the Teatro located in Via Ricasoli is also named, and where he died in 1861. Recently restored and equipped with the most modern technologies, Palazzo Niccolini is today the ideal environment for students, artists and musicians from all over the world. A Palace of the Arts in the City of the Arts.